We all have that friend who simply HAS to be the first to get on board with the hottest new trends. And these style chasers are a nightmare to buy for, as novelty festive gifts don’t quite cut the mustard! So for some gift inspiration we’ve put together collages for the year’s two hottest trends: tropical and copper. The tropical theme has taken the homeware’s world by storm this year and is still going strong in the cold winter months, when we dream of summer holidays and beaches! With pineapple, cactus and flamingo motifs galore, this cheerful trend provides endless gift inspiration for trendsetters! The copper theme emerged in late 2013, and is still as popular as ever! Copper home accessories can complement a range of interior styles, from rustic kitchens to contemporary living rooms. Products made from this warm and sleek metal make lovely festive gifts as they exude luxury designer style! We’ve also included a collage of our all-time best selling gifts and home accessories! 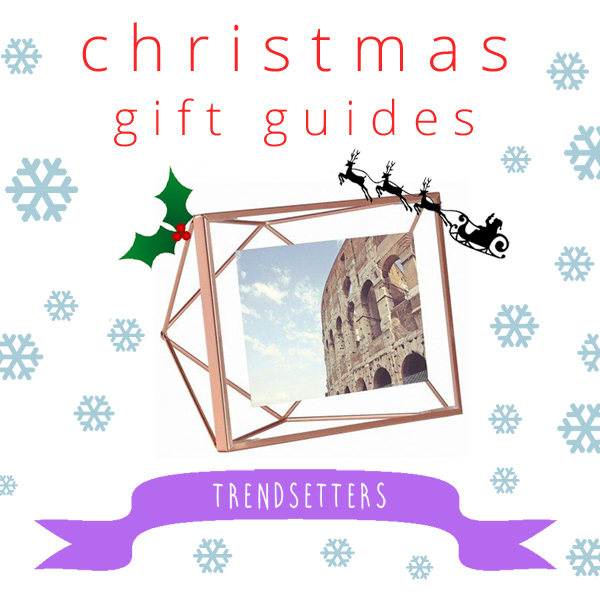 So if you’re after some gift inspiration, sit back and let your fellow consumers guide you through the products which they think are the bee’s knees of the homeware world! > See all of our Tropical accessories here. > See all of our Copper accessories here. > Check out all of our Best Sellers here!